If it weren’t for fungi, we wouldn’t have the Ten Commandments or the movie Raiders of the Lost Ark. His entertaining talk will be part of the 20th annual statewide ReLeaf Conference, where you will have the opportunity to learn from professionals from across the country and Canada and to tour local community forestry projects, a green housing development and a tree nursery. 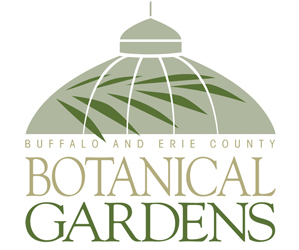 The conference will be held Thursday through Saturday, July 19 to 21 at Canisius College in Buffalo. Community volunteers, tree board members, arborists, tree care workers, public and private sector foresters, landscape architects, horticulturists and government officials are all encouraged to attend. Registration is required by July 10. For more information and to register, visit the conference website. The conference is hosted by the New York State Department of Environmental Conservation and the New York State Urban Forestry Council. Black stem wheat rust fungus, Puccinia graminis. Photo by Ronnie Coffman of Cornell University. So what do fungi have to do with the Ten Commandments and one of the highest-grossing films ever made? 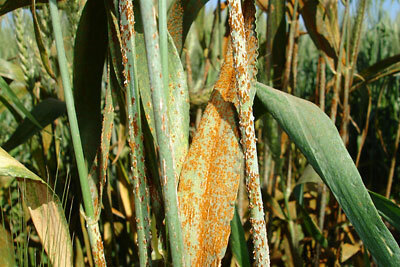 A fungus called wheat rust devastated the Israelites’ crops and caused a famine so bad that they had to pick up roots and move south to Egypt, Hudler said. “They were stuck there for 400 years and persecuted so badly that a trip out into the desert with Moses looked like a pretty good idea,” he explained. In the desert, Moses got the Ten Commandments. Of course, if Moses hadn’t gotten the tablets, he wouldn’t have needed a box to put them in. Without that box, called the Ark of the Covenant, there would have been nothing on which to base Raiders of the Lost Ark. “All because of a fungus,” Hudler said. While fungi can cause diseases, they can also have a beneficial effect on trees. “Most trees wouldn’t survive without fungus,” said Hudler. Certain fungi can have a symbiotic relationship with the tree, he explained. The fungus lives in the roots of the tree and helps bring nutrients to the tree. These fungi are referred to as mycorrhizae. There are companies that sell these fungi to add to your soil, but the evidence is sketchy that these additives make any difference, he said. Fungi can decay dead wood, as on this tree stump, and they can cause tree disease. However, fungi can also be beneficial to trees. Photo by Connie Oswald Stofko. 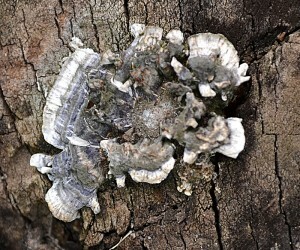 Sometimes fungi can affect a tree negatively without really harming it. 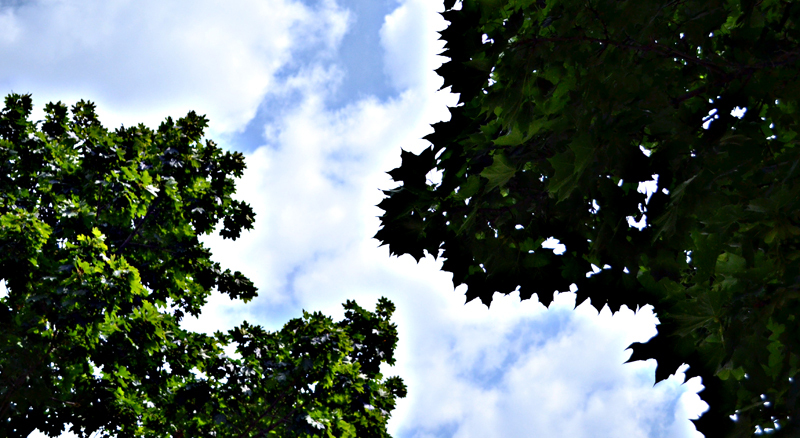 There are a number of diseases that cause the leaves of shade trees to become unsightly and drop off, but it’s something that gardeners may choose to just live with. “If you can tolerate that the leaves turn color and fall off a few weeks before they should, maybe you don’t want to waste money on spraying,” he said. To protect against harmful fungi in your garden, Hudler recommends picking up plant debris every year to protect against harmful pathogens. “Don’t let it sit on your garden,” he said. There are a number of pathogens that may occur in your garden, he explained. You might not notice their effects the first year, but the effects may show up the next year and following years. It’s safe to place the debris in your compost pile because there is a lot of microbial activity going on there. The other microbes compete for food and can use up the plant debris, keeping the pathogens in check. Plus, in a well constructed compost pile, the temperatures get high and can destroy the plant pathogens. Hudler is the author of the book Magical Mushrooms, Mischievous Molds and teaches a popular course informally known by the same name at Cornell University. A great speaker and teacher, was recently named Cornell’s Menschel Distinguished Teaching Fellow for 2012-13. His numerous teaching awards include a Stephen H. Weiss Presidential Fellowship, the highest award for teaching at Cornell, and he is on the list of Best 300 Professors compiled by the Princeton Review and RateMyProfessors.com. Hudler is the chair of the Cornell’s Department of Plant Pathology and Plant-Microbe Biology. 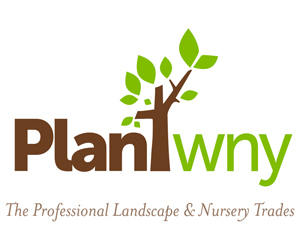 He conducts active outreach and research programs in the area of tree pathology, including publication of an award-winning, bi-weekly pest management newsletter, BRANCHING OUT – An Integrated Pest Management Newsletter for Tree and Shrub Care. Go on a garden walk, diagnose your veggies & lots more!What should she do about neighbor’s bamboo?